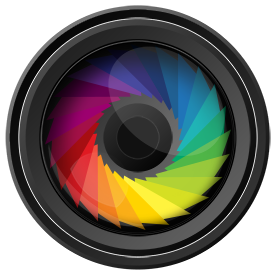 Close-up details, high definition landscapes and perfect pixel reproduction. Striving to deliver seamless image reproduction and amazing performance even from an angle, the Reference Studio 4K material was engineered to be a near perfect Lambertian diffuser. 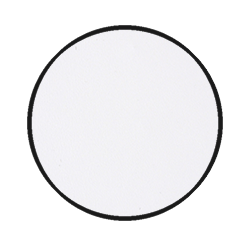 This means that your audience will enjoy the same high-quality color uniformity or brightness regardless of where they are seated. 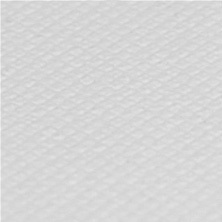 Zero surface texture is a must if you plan to enjoy true high-definition of 4K content: any texture or pattern on the material will change the way light reflects on the screen, reducing sharpness and effectively decreasing visible image resolution. 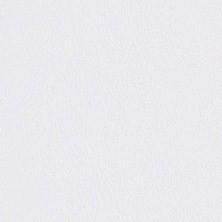 We believe the best screen should be invisible. That’s why we’ve engineered our screen material to act as near-perfect Lambertian diffuser. 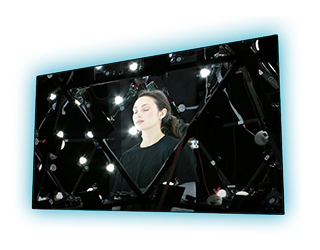 This means that your screen will evenly reflect light, making the screen virtually invisible to the audience. By evenly reflecting light with vibrant luminance from every angle, Reference Studio 4K guarantees a perfect reproduction with no sparkling, graininess, or color distortions. The Reference Studio 4K 100 material is specially designed to bring out the highest amount of details in today’s 1080p projectors and future 4K projectors. 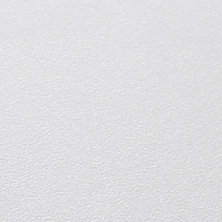 The material achieves maximum detail and resolution through having absolutely no texture to the material, thus providing the ideal projection surface. 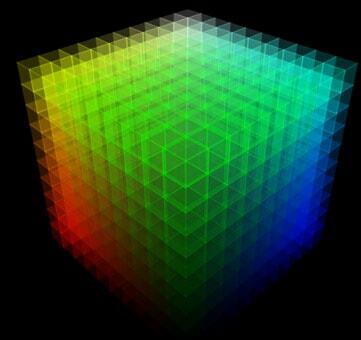 Any amount of texturing would change the geometry of the each projected pixel which, prior to the Reference Studio 4K series, has been the downfall of all but the most expensive screen materials out there. As well as being engineered for perfect detail, the screen material is an optimal lambertian diffuser and disperses light evenly across the entire 180 degree viewing able for a smooth and even light reflection. 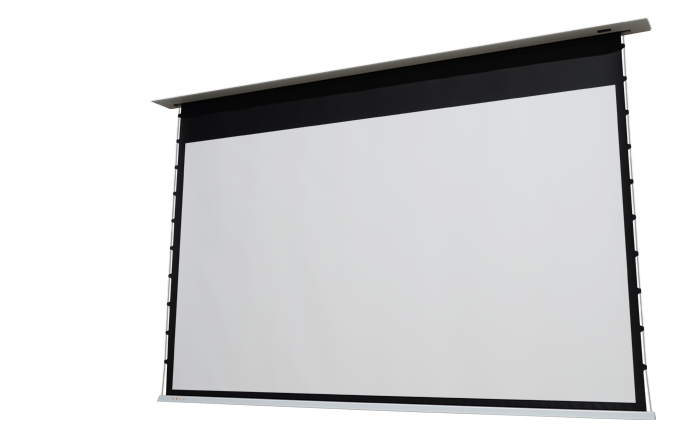 Furthermore, the material has been extensively tested with new generation of 3D projectors to bring minimum crosstalk and maximum 3D immersion. The material is designed and optimized for environments with dark walls for maximum contrast. The material of choice when a reference level of performance is required. 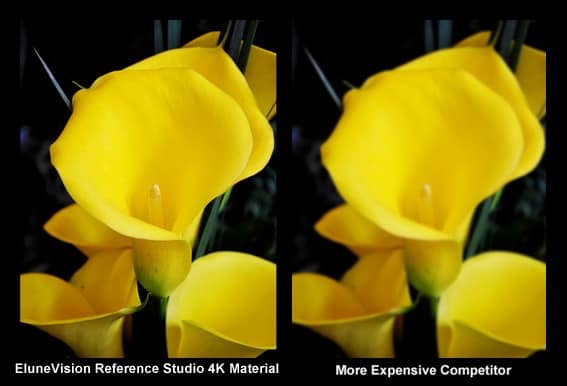 To illustrate this point, see the screen material texture comparison below, showing our Reference Studio 4K 100 material beside Stewart’s (widely considered the gold standard, but at a much higher cost), as well as two other more expensive competitors. From the above demonstration, it is clear that the EluneVision Reference Studio 4K 100 material is rivaled only by materials multiple times higher in price, and is by far better than materials even 50% higher in price. 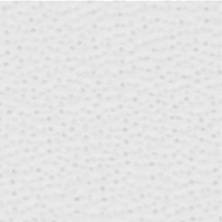 How does this texture-less material convert to real-world performance? Let’s find out. A big problem that you see with all but the best screens is an issue known as hot spotting. 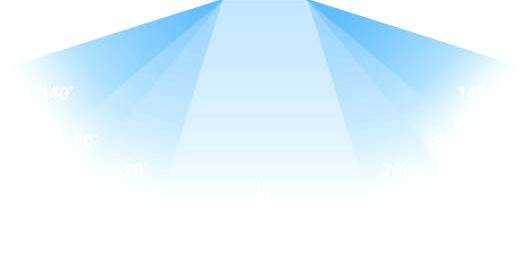 Hot spotting results in an area at the center of the screen with high glare and light, surrounded by a comparably darker image at the top, bottom and sides of the screen. As seen below, this results in a very unnatural image. 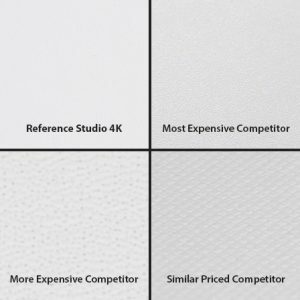 This is not a phenomenon that only cheaper screens suffer from – there are countless examples of significantly more expensive Reference Studio screens from competitors that suffer greatly from hot spotting, serving as a testament to EluneVision’s engineering efforts in perfecting the Reference Studio 4K 100 material quality. Due to the near perfect Lambertian diffuser properties of the Reference Studio 4K 100 material, the viewing angle is a full 180 degrees, allowing seats to be placed off axis without any changes in brightness or white field uniformity. 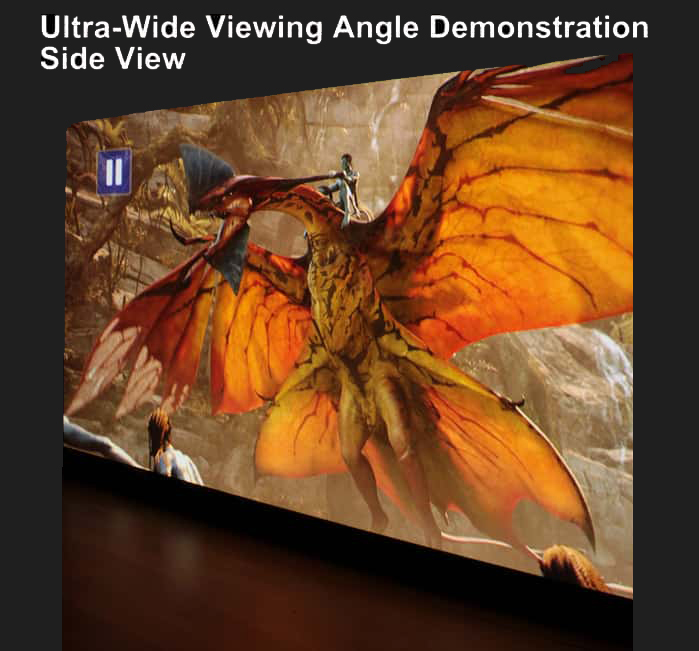 The image on the Reference Studio 4K 100 material is consistent from edge-to-edge at all viewing angles. To demonstrate this, photos were taken and posted below (the images were not re-touched). 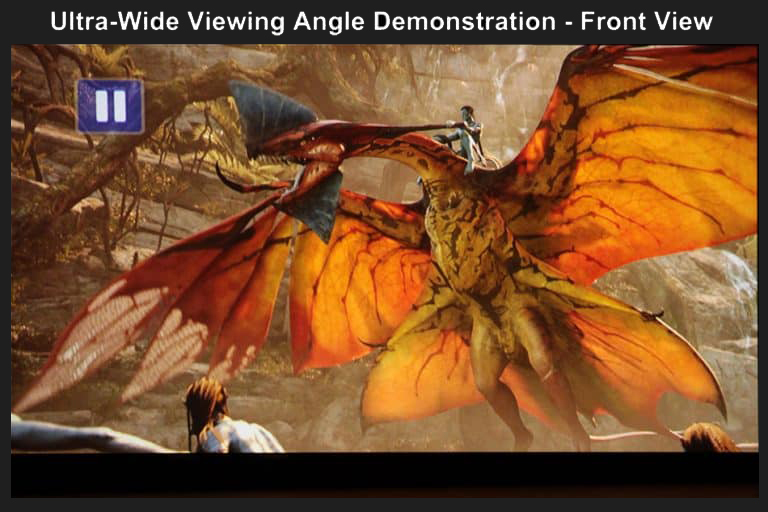 The first one shows a projected movie in a front view, while the second shows the movie at a fairly extreme side view. Though the user would not normally sit this far off center, the photos below demonstrate the fact that in any way that you decide to arrange seating, the screen will perform with perfection from any viewpoint. 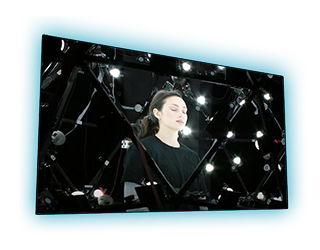 This performance extends to the height and location that you decide to mount the projector. Whether ceiling mounted and centered to the screen, or table mounted too far to the left/right of the screen, the image the screen projects back to the viewer will not degrade.